I think G.I. Joe needs a new movie reboot with a better story set in the mid 80s so the characters of Joe and Cobra will be true to the classic ARAH toyline, don't forget the Dreadnoks because they are the 80s GI Joe toyline. If you seen Bumblebee movie. G.I. Joe needs a movie or TV series set in the 80s. It would make a fun story with a G.I. Joe movie or TV series set in 1964 to the 70s with the origin of Joe Colton better known as G.I. Joe the original G.I. Joe. Would you want a G.I. Joe movie or TV series set in the 80s even another G.I. Joe series set in the 60s and 70s to focus on the origin of Joseph Colton better known as the original G.I. Joe? If a spam bot could text, that is exactly what it would say. Watch your six! 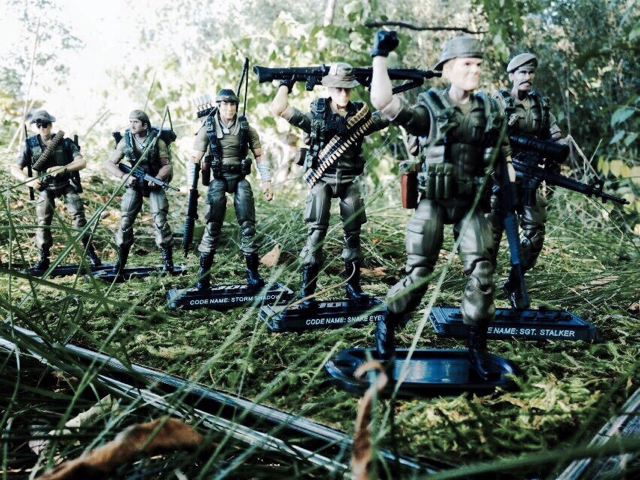 I would love a movie to have that nostalgia feel to the fans been collecting GI Joes for a long time.